J.D. 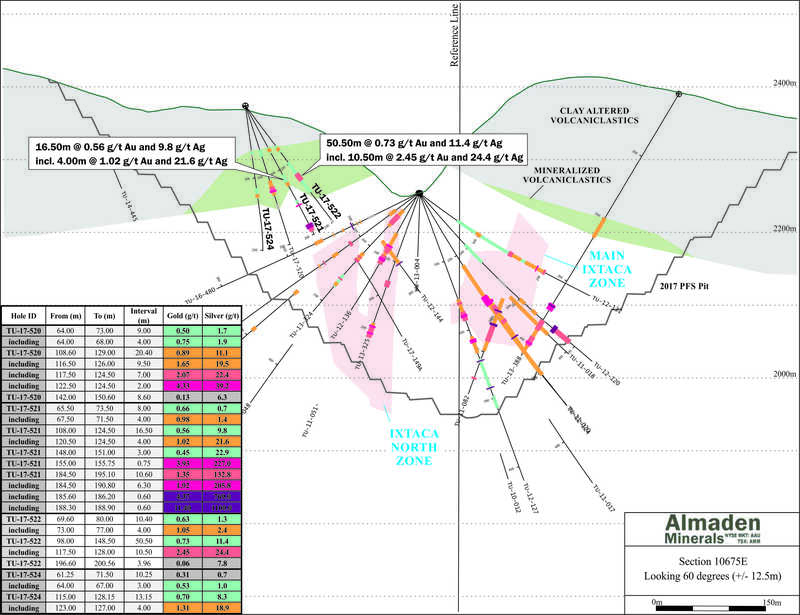 Poliquin, chairman of Almaden stated, "We are very encouraged to be outlining this new mineralized zone in an area modelled as waste for stripping within our PFS pit, and look forward to the inclusion of this new zone in future mine plans. 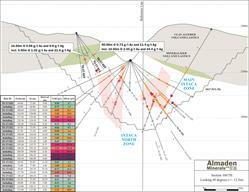 Ongoing drilling will continue to seek more such zones even as the engineering work and feasibility study progress." MMTS is an association of Geologists, Engineers and Technicians providing experienced knowledge in Geology, Mine Engineering, and Metallurgical Services and Support to the mining industry for over 15 years. Through their network of associates, they provide an integrated team of experts and QPs. 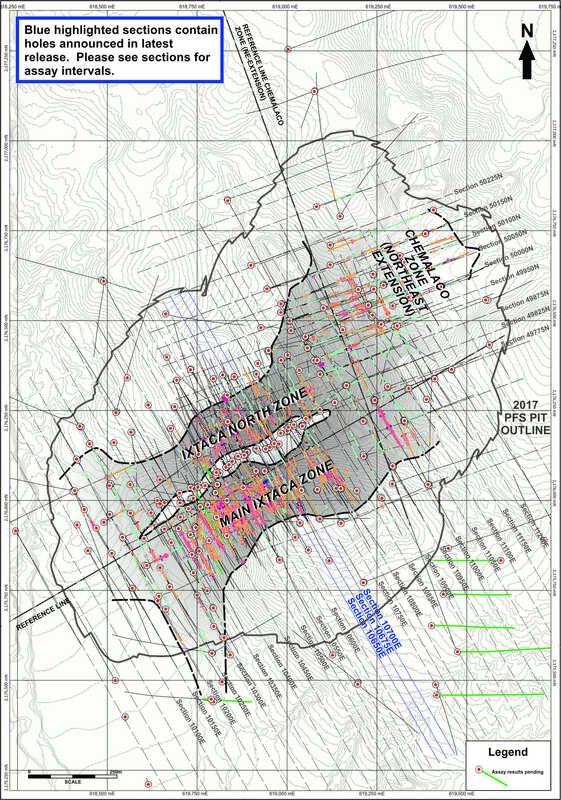 Services range from early grassroots exploration and development, block model builds, resource and reserve estimates, advanced planning and studies for mine proposals (including operational support), process design and permitting process guidance and support. MMTS has experience working on coal, gold, silver, copper, molybdenum, and tungsten deposits throughout North and South America and around the world. A list of specific projects worked on by MMTS can be found at www.moosemmc.com. The Company has access to the entire project area and works closely with local officials and residents. 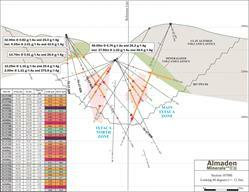 The Company has employed roughly 70 people in its exploration program who live local to the Ixtaca deposit. For example, local employees have made up virtually all the drilling staff and have been trained on the job to operate the drill rigs being used at the project. 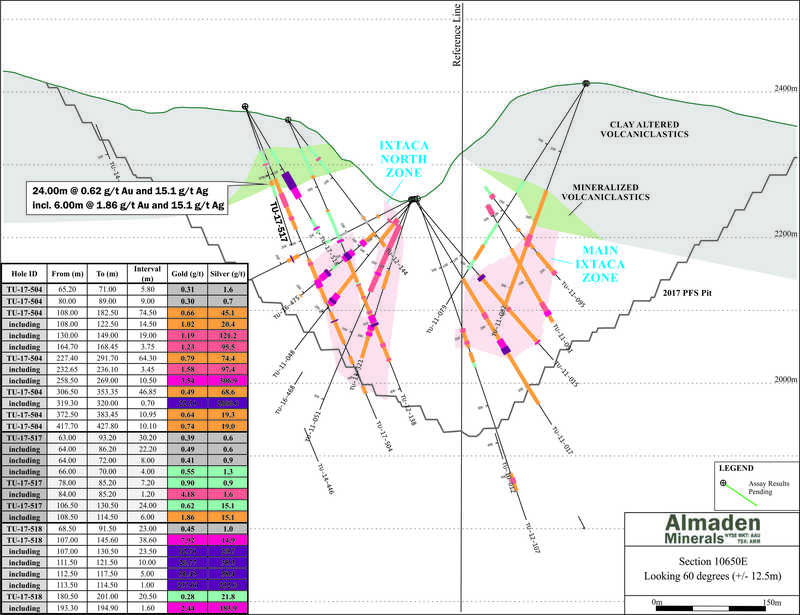 The Company has implemented a comprehensive science based and objective community relations and education program for employees and all local stakeholders to transparently explain the exploration and development program underway as well as the potential impacts and benefits of any possible future mining operation at Ixtaca. The Company regards the local inhabitants to be major stakeholders in the Ixtaca deposit's future along with the Company's shareholders. Every effort is being made to create an open and clear dialogue with our stakeholders to ensure that any possible development scenarios that could evolve from the feasibility study work are properly understood and communicated throughout the course of the Company's exploration and development program. To better explain the impacts of a mining operation at Ixtaca the Company has conducted numerous tours for local residents to third party operated mines in Mexico so that interested individuals can form their own opinions of mining based on first-hand experience. 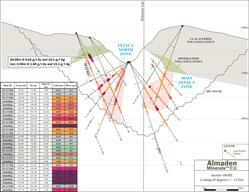 The Company invites all interested parties to visit www.almadenminerals.com to find out more about our community development, education and outreach programs. 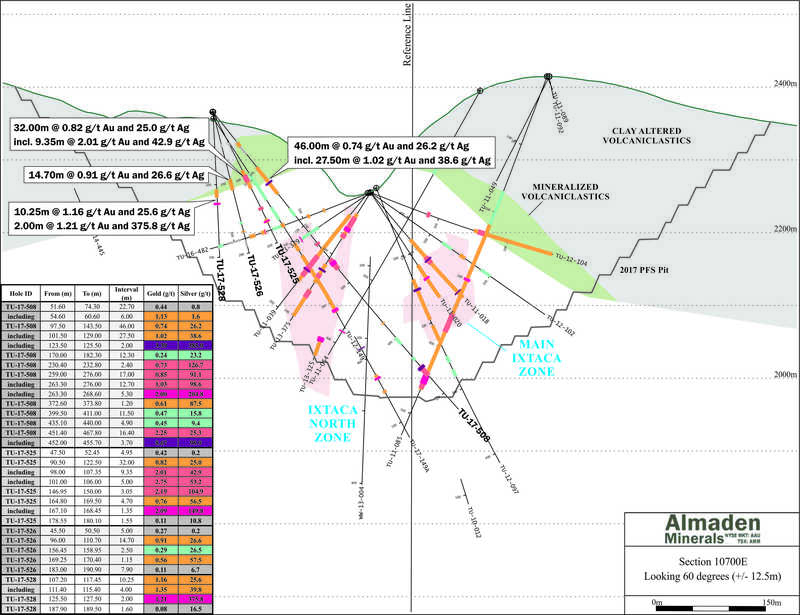 The SIA concluded that Almaden Minerals had consulted widely with the Focus Area communities, the Ixtaca project was well understood, and that the SIA itself was successful in providing people with an opportunity to clearly express their views on the impacts of Ixtaca project development. 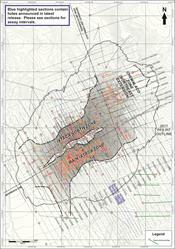 Leaching these limestone domain concentrates results in very high overall gold and silver recoveries (both average approximately 90%) into doré on site without the need for expensive smelting as is the case for many base metal rich precious metal deposits.